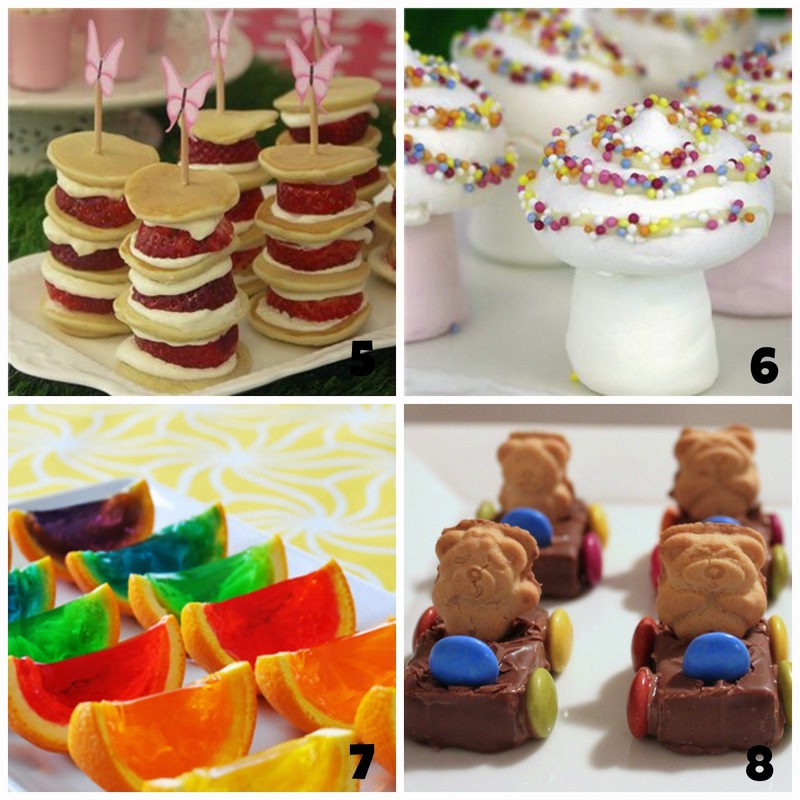 For kids parties I love to put on simple, colourful and fun party foods. 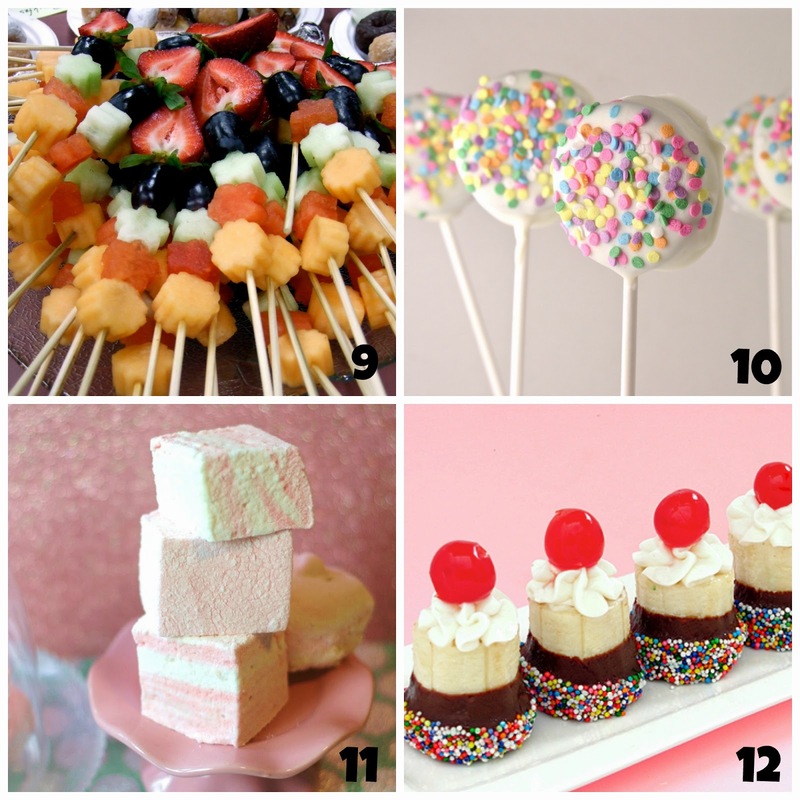 Here are 12 awesome party food ideas that are easy to make, look great and are sure to be a hit with little party goers. Full tutorials available by following the links below. 1. Ham and Cheese Ribbons from Landolakes. Such a simple idea with basic kid friendly foods but a fun way to prepare and serve. 2. Hawaiian Pizza Pops from Taste.com.au. Mini pizza scrolls are always a hit with kids and adding them to a stick adds a little more fun. 3. Vegetable & Chicken Sausage Rolls from Kidspot.co.nz. Sausage rolls are always a great party snack. 4. Monster Party Sandwiches from My Own Road. I think its great to offer sandwiches at kids parties and themeing them is the perfect way to fancy up a simple food. 5. Strawberry Pancake Stacks from Party Ideas. These little stacks are adorable & look super yummy! Adding themed cupcake toppers is also a great way to bring in your party theme. 6. Meringue Mushrooms from Party Ideas. So simple & so adorable! Perfect for fairy or woodland parties. 7. Orange Jelly Wedges from Tablespoon. A fun and unique way to offer jelly at your parties. I always find jelly a huge hit at kids parties. 8. Teddy Race Cars from Piece of Cake Parties& Celebrations. These teddy race cars are easy to make & great for the kids to help prepare. A cute and fun party sweet. 9. Fruit Kebabs from Sippy Cup Mom. A fun way to display fruit at your party. Use mini cutters to cut out various shapes before putting on your skewers. 10. Chocolate Covered Oreos from Easy Baked. These look amazing and would be super yummy. 11. Home made marshmallows from Little Pink Cake. Easy to make and can be made in various colours to suit your party theme. Also could look great cut into different shapes using cutters. 12. Banana Split Mini Bites from Bakers Royale. These are adorable and would be perfect for Ice Cream or Circus parties. 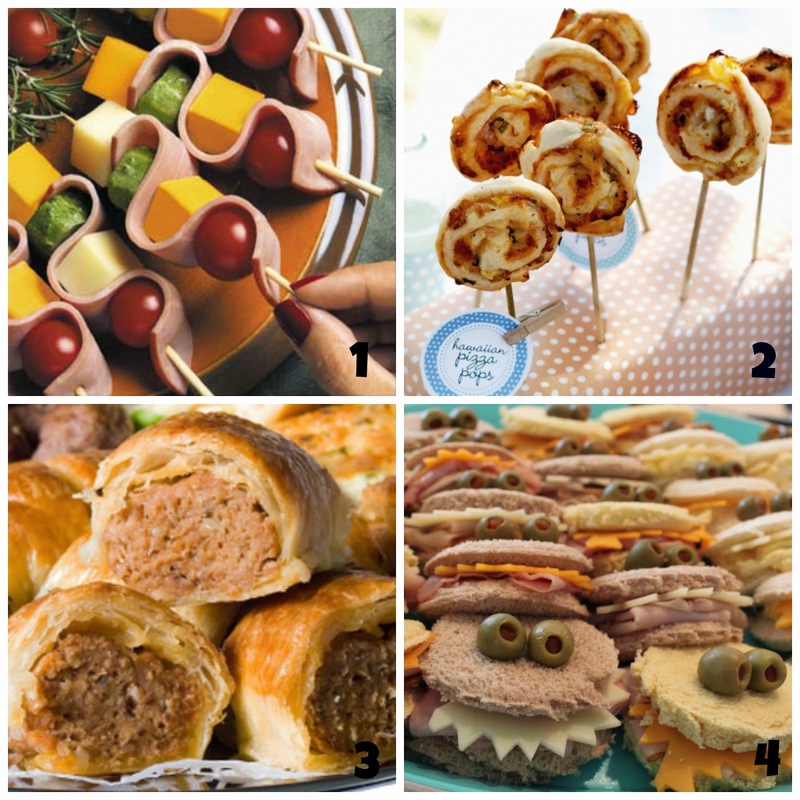 Whats your favourite kids party foods ? Feel free to tell us your party favourites in the comments below, we love to hear from you.